Picture dictionaries are very popular among learners of English. 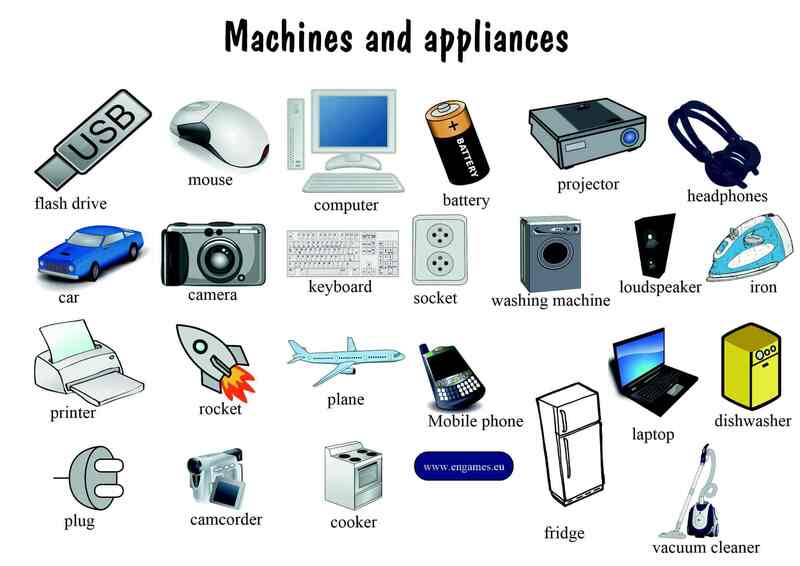 In this post, I would like to offer you a pictionary with Machines and appliances. This post contains an infographic and a crossword. I hope you will find these useful. Print the following infographic for your students. It is a good idea to drill the pronunciation first. Then ask the students to learn the words. I usually give my students about five minutes to do this. Then hand out the following crossword. Let the students complete the crossword. They can use the original infographic. 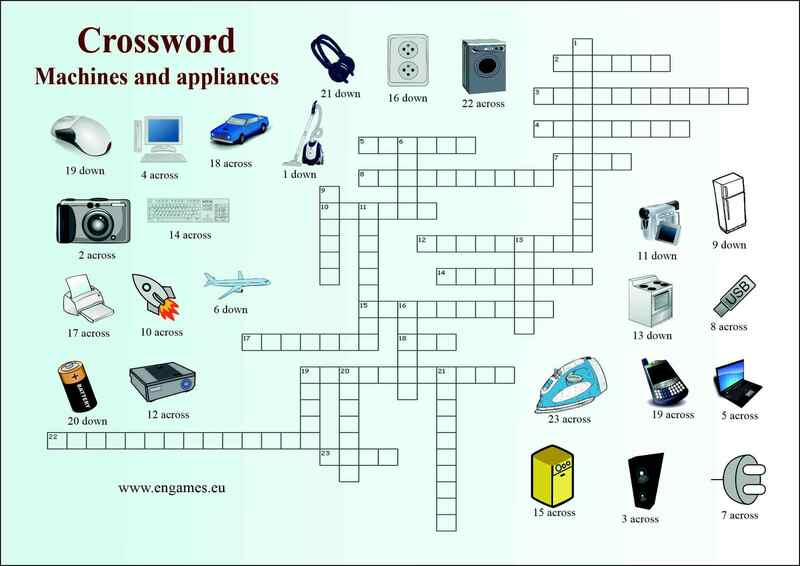 You can print the infographic and the crossword using the following pdf file.